CRYTC is pleased to present “Community, Collaboration, Conciliation: Are We Working Together in a Good Way?,” a public talk by the Six Seasons of the Asiniskaw Īthiniwak postdoctoral fellow Dr. Jennifer Robinson. Her talk will take place on April 3 from 12:30PM to 1:30PM in the CRYTC Lab (3C26). 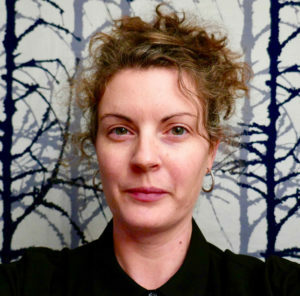 Dr. Robinson will highlight how community and participatory-based arts collectives are creating new decolonial and anti-colonial research practices through acts of conciliation. Acts of conciliation, start from the premise that gaps in knowledge and different ways of being in the world exist between Indigenous and non-Indigenous partners, but that these gaps can be both productive and transformative. Acts of creative conciliation bring people together to dialogue and debate; produce and create. As such, acts of creative conciliation are producing a body of knowledge and new models of knowledge mobilization in Canada concerning legacies of inequality and contemporary injustices, that are sensory, embodied, and felt. These aesthetic actions serve as critical points of departure to think through the challenges of working with colonial truths in the present. Guiding this work are the questions: How do universities, museums, and art galleries create better practices with Indigenous partners? ; How are Indigenous epistemologies and relational research methods changing institutional polices? ; and, perhaps most importantly, are we working together in a good way?